The Yunon, YN-990 is a 35mm plastic viewfinder with a 50mm lens. It has four apertures, Sun, Cloud covering half of sun, Cloud, and Flash. This was a Goodwill purchase in Flagstaff. 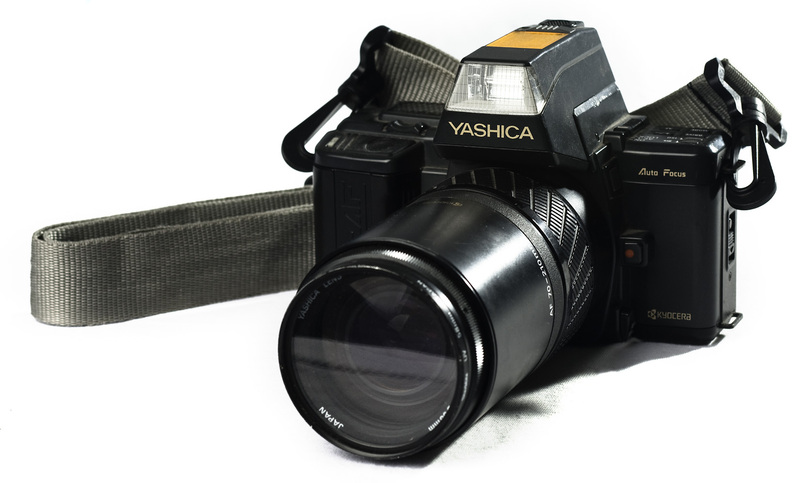 The Yashica, 230-AF is an odd 35mm SLR. It is computerized (Kyrocera guts) and has interchangeable lenses (i only have a 70-210mm f/4.5 glass elements) attached is a Yashica flash. This was a gift from a former co-worker at Beaver St. Brewery named Jeremy. He told me that he and his brother have traded this back and forth for years, it takes good pictures, but he didn’t have any use for it any more. The Leica R-3 Safari Edition. 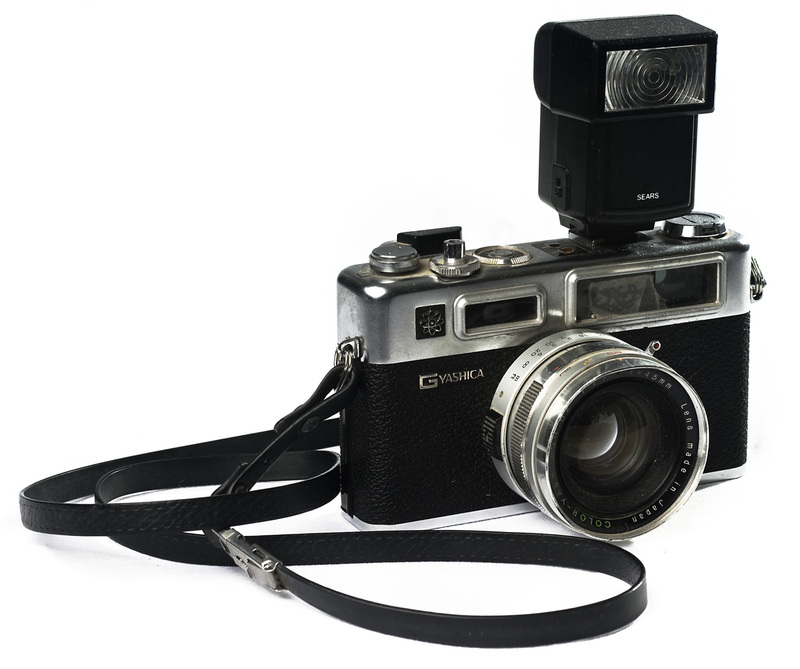 A classic 35mm SLR. This camera was often sold as a kit with a wide angle lens, a normal lens (50mm f/2 Leica glass pictured) and a telephoto lens. The kit also included a set of binoculars all in a hard briefcase. I have the briefcase, but everything else is missing or was not purchased. This was a gift from my Uncle Edgar, it had belonged to his ex-wife Erica and he had no use for it. It is a great camera and I still shoot it from time to time. The Argus, Match-Matic C-3. This is a totally funky 35mm viewfinder. It has a 50mm f/3.5 glass lens with a six stop range and shutter speeds from 4 (scene) to 8 (action). It comes in a leather case and there is an Argus LC3 light meter attached to the hot-shoe, totally analog but very cool. This was a gift from my roommate John’s father. It had belonged to his mother at some point, and he had no use for it. The Yashica, GSN. Another 35mm viewfinder. 45mm f/1.7 glass lens it has an eight stop range and three shutter-speeds. Attached is a Sears Roebuck and Co. flash. This was a gift from my roommate John’s father. It had belonged to his mother at some point, and he had no use for it. The Ultronic, Panoramic. A 35mm viewfinder. The back of the camera has a wider opening to expose the film in a wider format to take panoramic negatives. This was a gift from my mother, i think she got it in a box of cereal or something. 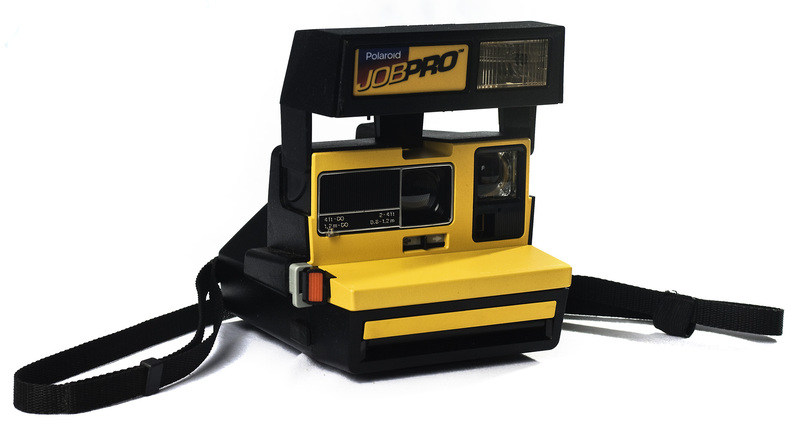 The Polaroid, Job Pro. It shoots Polaroid 600 film, which has been discontinued for many years ( it can be found on E-bay for upwards of $60 per roll of 10, it is also all expired) There is a light meter adjustment for light or dark scenes and a slider that moves a filter for close ups (2-4ft). This was a gift from my friend Bob Smith, who found it in a trash pile and gave it to me. 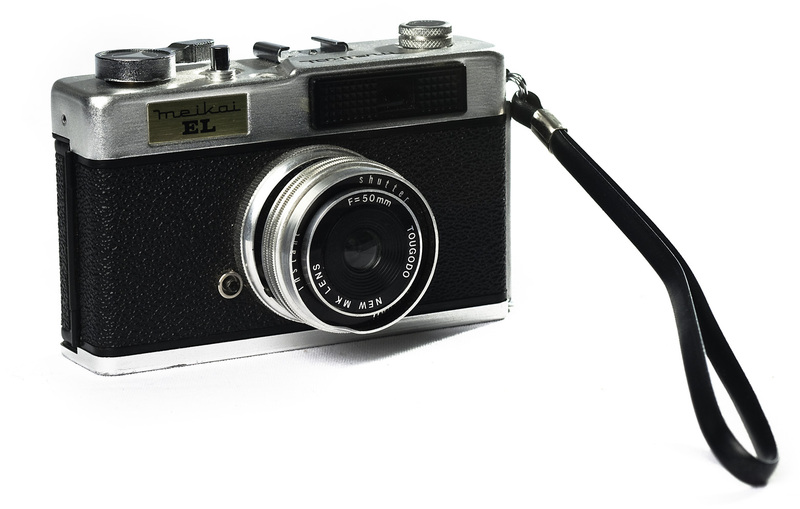 The Meikai EL, Another 35mm viewfinder. It has a 50mm plastic lens with three shutter speeds, Sun, Cloud covering half sun, and Cloud. There is a hot shoe and a PC sync adapter. I have shot many rolls on this camera, the light leaks and soft vignetting are what make it fun. I purchased this at the Salvation Army in Prescott. This is the Canon EF. A great 35mm SLR. It came with a 35-70mm f/4.5 glass lens. 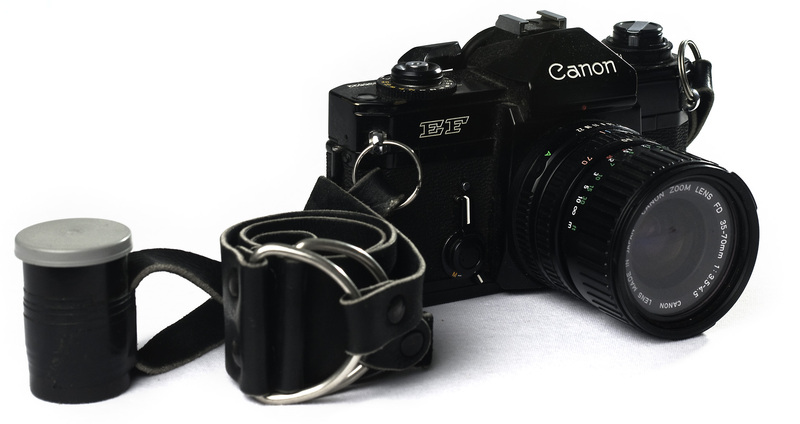 Pretty standard issue Canon SLR, the leather strap is amazing and there is a film can attached (via electrical tape). Takes nice photos and was a gift from a co-worker at Beaver St. Brewery named Shawni. It had been a gift to her from another Beaver St. employee, Josh. She had used it in a class and had no use for it anymore. Ahh, the Canon AE-1 Program. A great 35mm SLR, it came with a 50mm f/ 1.8 glass lens. Again pretty standard issue Canon SLR, interchangeable lenses, hot shoe, PC sync. This (like many photographers) was my first SLR camera. It was purchased for me by my mother at a (now non-existent) camera store in Prescott. I love the strap and have always loved this camera. As anyone who has fallen in love with camera’s knows, there is always a special place in your heart for your first SLR. I still shoot on this camera from time to time. 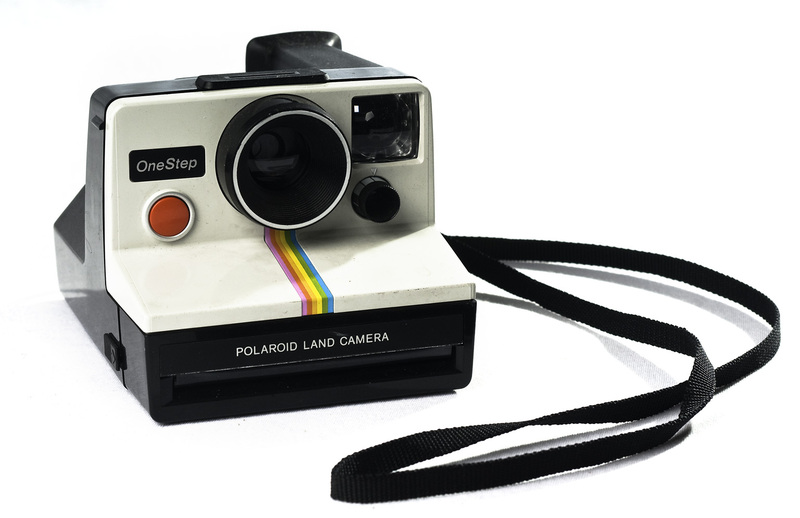 The Polariod Land Camera. Super basic Polariod 600 camera. There is a dial for light to dark scenes and a shutter release. This was a gift from my Aunt, it was in her basement and she had no use for it. 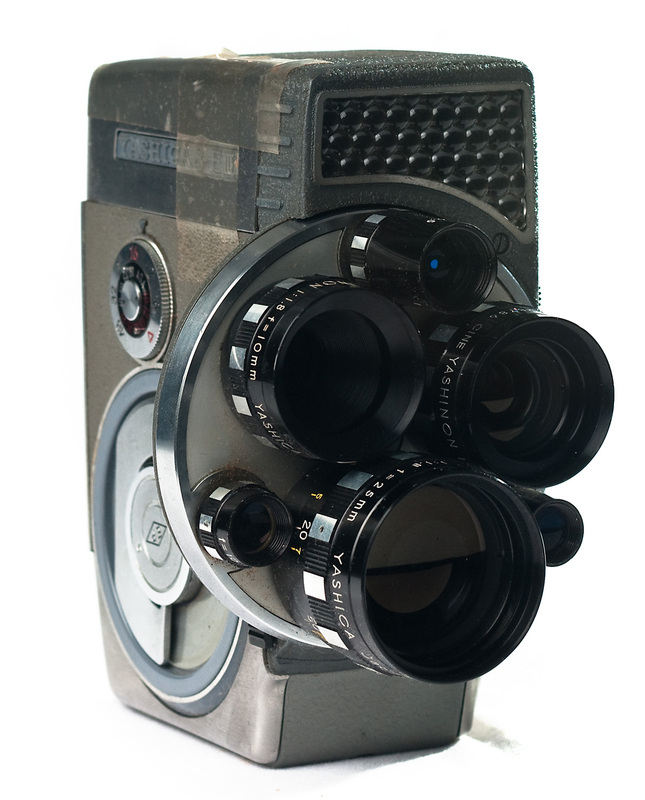 Yashica 8-E3, 8mm movie camera, Three lenses, 10mm f/1.8, 6.5mm f/1.8, 25mm f/1.8. It can shoot at 8, 12, 16, 24, 32, or 48 FPS and has a seven stop range. It is shown with and without the optional pistol grip (unfortunately the trigger has broken) It is totally functional and came with four rolls of film. It was originally purchased in Guam in the 1960’s, somehow it came into the possession of my roommate John’s Grandmother and then his Father who gifted it to me. I really love this one a lot. 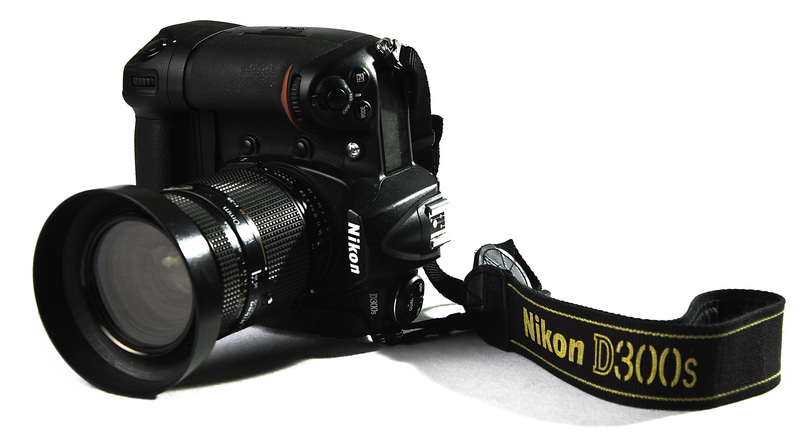 The Nikon D-70s. A nice 6.5 MP DSLR. It came with some kit lens that i have since traded, it is pictured with an 18-110mm f/5.6 Nikkor glass. This is outdated technology now, but was a nice DSLR for it’s day, It was also my first digital camera. I have taken it all over the world and it has been through hell and back, still kicking strong though. I purchased this as a gift to myself, it took me about a year to pay it off . 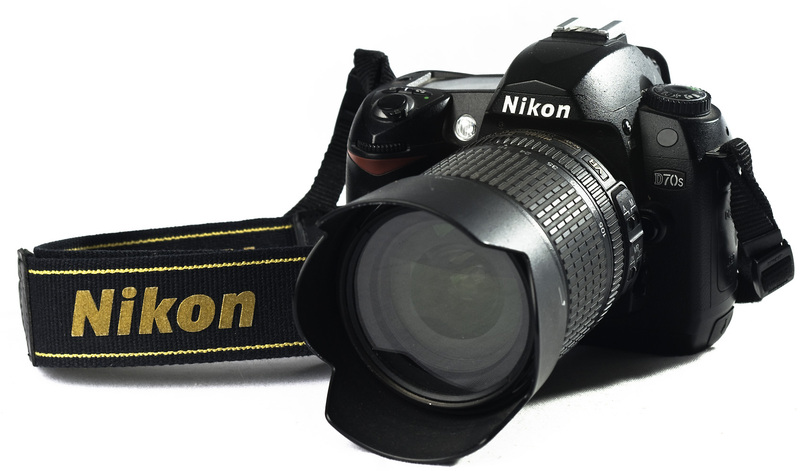 My baby, the Nikon D-300s. Very nice 12.5 MP DSLR pictured with a 35-70 f/2.8 glass Nikkor glass lens. It shoots 1080p video and is pictured with the vertical grip attached. This has been my daily shooter for about 15 months and i am absolutely in love with it. This entry was posted in blog, photography, video/multimedia and tagged behind the scenes, photography, video. Bookmark the permalink. That’s a very interesting post.